Scared গার্ফিল্ড. This is a দেওয়ালপত্র of গার্ফিল্ড being a scaredy cat!. 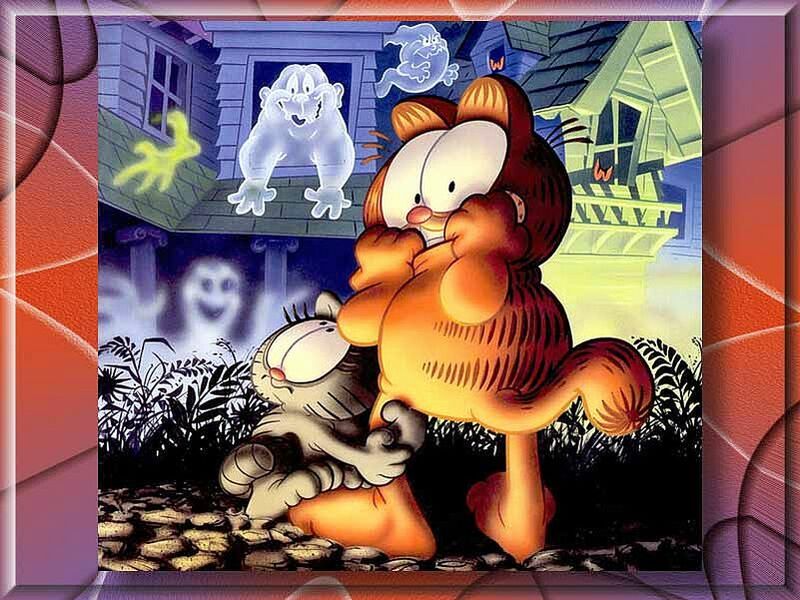 HD Wallpaper and background images in the গার্ফিল্ড club tagged: garfield comics photographs funny desktop wallpapers orange halloween images holidays scared cat. This is a দেওয়ালপত্র of গার্ফিল্ড being a scaredy cat!